We are Manufacturer and Exporter of Electromagnetic Brakes. We are manufacturing, trading and supplying Cranes Electromagnetic Brakes. 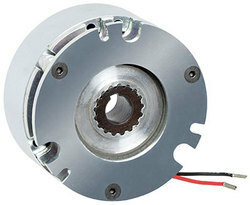 Electro-mechanical disk brakes operate via electrical actuation, but transmit torque mechanically. When electricity is applied to the coil of an electromagnet, the magnetic flux attracts the armature to the face of the brake. As it does so, it squeezes the inner and outer friction disks together. A magnetic brake consists of a permanent magnet, which induces currents in a rotating copper disk. The resulting eddy currents interact with the magnetic flux to produce Lorentz forces and subsequently a braking torque. 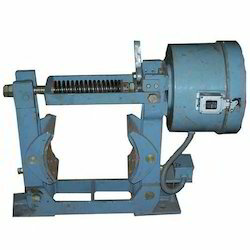 We are identified as one of the leading organizations, engaged in manufacturing and supplying Pneumatic ClutchBrake. 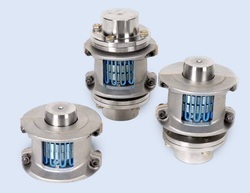 Our air-cooled Pneumatic Clutch Brake are designed to excel in a wide range of applications. 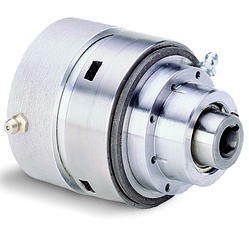 Featuring favorable more.. We are offering high quality Pneumatic CombinationClutch and Brakes.